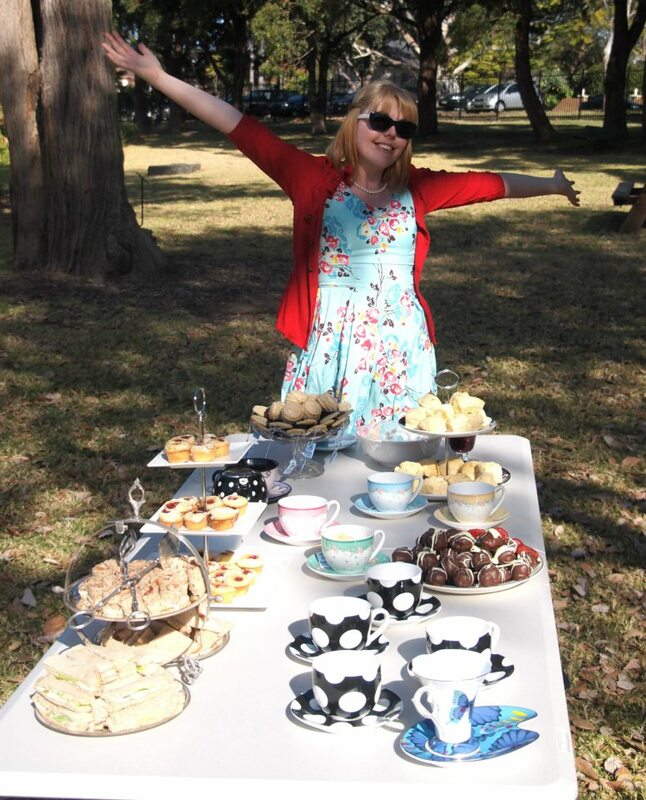 My loyal followers (Hi Mum) may remember that I hosted a High Tea over the weekend to raise money for Habitat for Humanity. It went splendidly and many traditional and non-traditional tasty treats were devoured by all. You will see that I have included some pictures in this post – all taken by The Lovely Katie. I promised that I would accompany the event with a post on the history of High Tea, and here it is! Today, High Tea is considered to be something one indulges in as a treat, or for a special occasion. At roughly $45 a pop, this is hardly surprising. 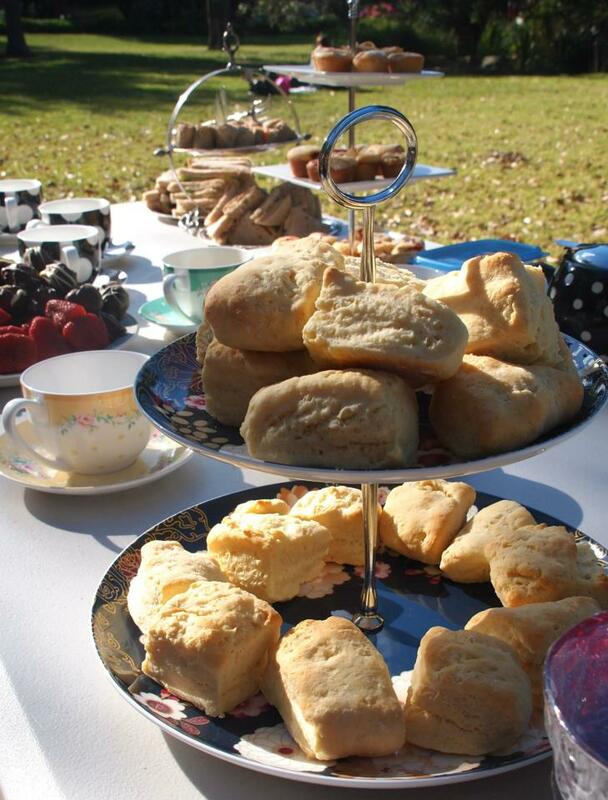 Despite its current extravagant status, High Tea has a far more humble beginning. 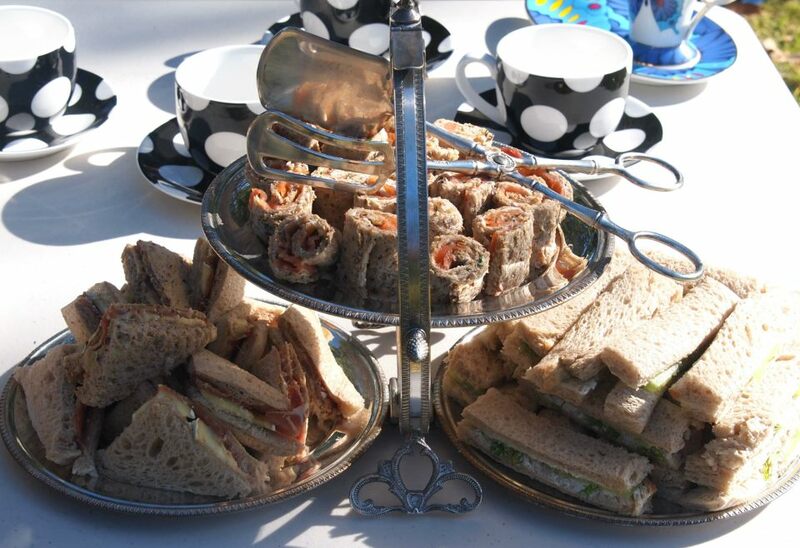 The British tradition of High Tea began in the mid 1700s as an afternoon meal, usually served between 3 and 4 o’clock. It was designed for the working man and was taken standing or sitting on a tall stool, thus the term ‘high’. The meal would generally consist of tea served with cakes, scones, and even cheese on toast. Gradually, this afternoon meal transformed into an important event on the social calendars of Ladies and Gentlemen. Anna, the Duchess of Bedford (1788-1861) is credited as the creator of the official ‘teatime’ for the upper classes. During the middle of the eighteenth century, dinner changed from midday to what was considered a more fashionable evening meal. Due to the change in dining habits, the Duchess, and I expect many other ladies, became rather peckish in the afternoon. It should be noted that during this period only two main meals were eaten each day. Initially, the Duchess had her servants sneak her a pot of tea and a few “breadstuffs” when she became hungry. Clearly the Duchess tired of this and decided to adopt the European tea service format. So she wouldn’t have to eat alone, she invited friends to join her for afternoon tea at her castle. The menu centered around small cakes, bread and butter, assorted sweets, and, of course, tea. This practice proved so popular that the Duchess continued it when she went to London, sending cards to her friends asking them to join her for “tea and a walking in the fields.” The practice of inviting friends to come for tea in the afternoon was quickly picked up by other society hostesses. Fancy finger sandwiches served on my Nan’s silverware. 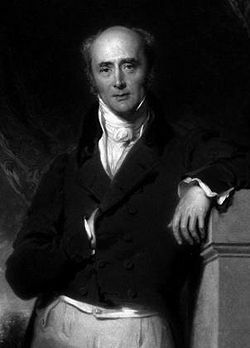 It was around this time that our old friend, and previously discussed, John Montagu, the Fourth Earl of Sandwich, had the idea of placing meat and other fillings between two slices of bread. Thus, the High Tea sandwich was created. For the Leisure Classes, High Tea served a practical purpose, allowing Ladies and Gentleman the opportunity of a meal before attending the theatre, or playing cards. As for now, well – it’s nice to at least pretend we’re classy every once and awhile, isn’t it? 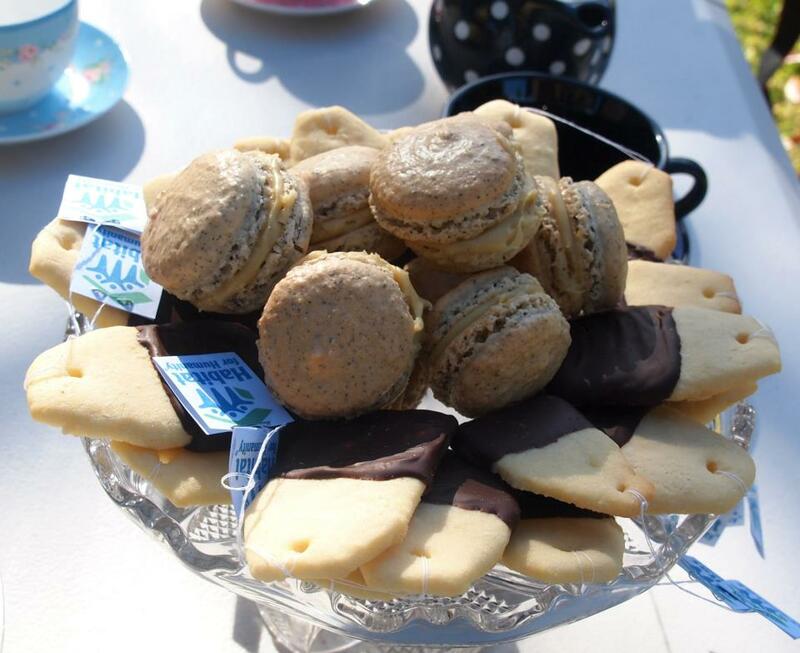 Macarons by Aaron and Teabag Biscuits by Sally. Both were AMAZING. When stirring your tea, avoid making noises by touching the sides of the cup. Never leave your spoon in the cup, and avoid sipping tea from your spoon. Milk should be poured into the cup after the tea. Lemon slices should be neatly placed in the teacup after tea has been poured. Welcome to the second installment of Tealicious History – a post that is dedicated to my Mothership, Michelle. Unlike me, she likes her tea to taste like a cross between a campfire and an ashtray. Delicious. Traditionally, Russian Caravan is made from a mixture of several Chinese black teas – Oolong, Keemum and Lapsang Souchong. However, all of these varieties are produced from the same plant – Camellia Sinensis. The differentiation in taste is achieved through varying the methods of harvesting, drying, processing and brewing the tea. Russian Caravan is a medium strength tea that has a hint of malt and a distinctive smokey aroma caused by the Lapsang Souchong. Originally, the latter was only intended as a natural preservative, but it became an important element of the tea itself. Mmm, delicious camels. Photo Credit – The Tea Caddy website. After vodka, tea has been the most consumed beverage in Russia throughout history. However, as the Chinese blend suggests, Russian Caravan is not of Russian origin. The name originated in the 18th century when new trade routes opened between China and Russia. The tea was generally transported by camel caravans, which is why many modern varieties of Russia Caravan feature them on the packaging. Each trip via this route took at least six months to complete as the journey was the almost ten thousand kilometres long. There was an alternate route to the south that passed through Odessa in the Ukraine. The price of this tea was cheaper due to the quicker and far easier journey, however, it also supposedly effected the flavour due to exposure to the sea. In comparison, the traditional route was harsh due to the cold and dry climate of Mongolia and Siberia, but this is said to have enhanced and improved the flavour of the tea. Some believe that a peculiar delicacy of flavour was imparted to the leaves by the slight moisture it absorbed when it was unloaded onto the snow at night. As such, it sold for a higher price. Russian Caravan tea remains popular today, being sold anywhere from supermarkets to speciality tea shops and cafes. It’s smokey taste continues to be a pleasure for those who like their tea to taste like it was brewed in the fires of hell. Mmm, tasty brimstone. It’s okay, I’m allowed to be unjustly biased in my commentary due to preferring Earl Grey, which supposedly tastes like dirty dishwater.